Speaking to the Montreal Chamber of Commerce last week, Canadian Minister of Transport Marc Garneau laid out the government’s new 2030 Transportation strategy and it is not good news for the 18,000 IAM members in Canada’s air transport sector. 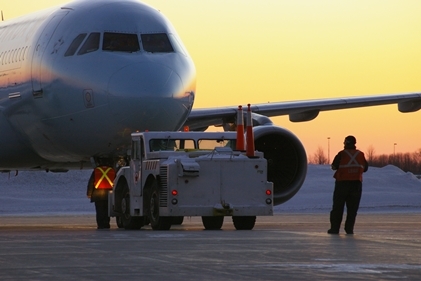 Garneau stated that the government intends to introduce legislation that would raise the limit of international ownership of Canadian air carriers to 49 percent from the current 25 percent. The strategy opens the door for more corporate access, and less-regulated private investment in the already-troubled air transport industry. The plan was developed based upon the Canada Transportation Act Review Report, which was launched in Spring 2016 to engage and include input from stakeholders throughout the country. The IAM, the largest union in Canada’s air transport sector, was not consulted for the report, however. Neither were other affected unions. The report ignored the impact of its recommendations on workers, their incomes, terms and conditions of employment, and the quality of work. Click here to read the IAM’s response to the government’s report.